It’s obvious from the moment you mention to just about anyone that you’re heading to Georgia. And surprisingly, more and more people are in the know enough to ask – the state or the country? But what exactly is it about this tiny Caucasian country with a total population just under four million that’s causing not just the most curious of travelers, but travelers of all kinds, to flock there? Well, it could be the stylish new hotels that have popped up in the city. Or the country’s pro-Western mentality that has moved them in a more global direction (Georgia is a member of the UN and the Council of Europe), even leading to the recent legalization of the consumption of marijuana. Or it could be their 8,000 year old winemaking techniques. 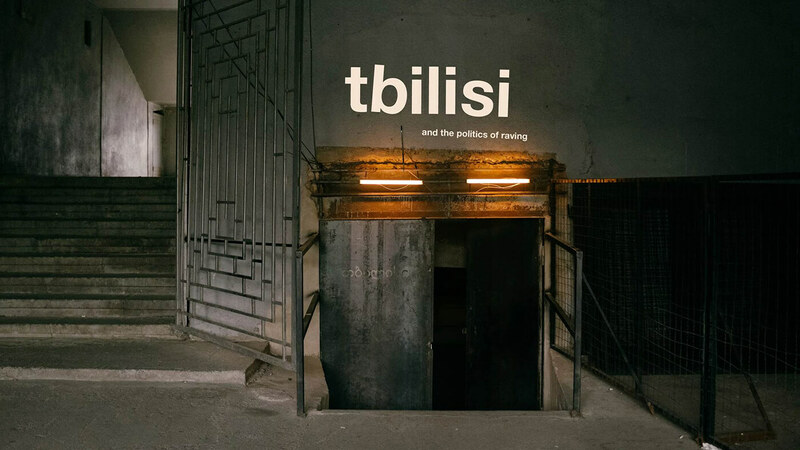 Tbilisi is having a moment. A city that has been sacked 27 times but emerged as a distinctively cosmopolitan place with contemporary architecture mixed in with the historic buildings, a rich café culture and a boom in wine and cocktail bars. It is one of the few cities left in the world that feels like absolutely nowhere else. While one can’t be exactly sure, whatever it is, it’s making Tbilisi one of the most exciting cities to visit this year. Here are some good examples. The city’s uber-trendy Stamba Hotel was just named by Time magazine as one of their World’s 100 Greatest Places. And it’s easy to see why. Stepping into Stamba Hotel, a former Soviet-era publishing house turned boutique hotel, it’s obvious why people are talking (or more accurately, raving) about this 42-room Georgian oasis, which only opened back in May. Situated in the city’s Vera neighborhood, a neighborhood known for its bohemian vibes and quaint cafes, the hotel feels like a place that perfectly embodies today’s Tbilisi: a city with no shortage of character and depth, grace and style, ambition and perseverance. Marijuana consumption was legalized in July. As the first former Soviet Republic to legalize marijuana use, Georgia’s progressive attitude is what makes it such an exciting place to be right now. Young locals are very passionate about moving the country forward and they aren’t afraid to make it known – demonstrations and rallies are acts of defiance that the city’s youth are taking on without looking back. And it’s making a difference. Whether it’s a rally in support of marijuana legalization or a protest rave voicing the discontentment of an armed raid by police in one of the city’s most popular dance clubs, the city’s youth are passionate about seeing Georgia change for the better. And because of that, it takes you to places such as the dive bar Meoba and Bauhaus – one of the hottest spots in the city over the summer months, where cool locals overflow into the park, eventually turning the patio space into a dance floor. And while the city is going through an exciting transition, some things will never change. Like the way they’ve been making wine for 8,000 years or having a meal. The food in this former Soviet republic, at the crossroads of Europe and Asia, is superb. And wildly abundant. The word for a Georgian meal is supra, which is best translated as “feast.” This is no joke. There is also a saying that “the guest is a gift from God,” meaning hospitality is valued—and largely expressed through cooking. Food and wine are the main draws for Georgia—and a primary reason that visitor numbers have doubled since last year—but hardly the only one. The High Caucasus are stunning, dotted with picturesque villages and ancient churches. (The country was also one of the world’s first to adopt Christianity, in 337 A.D.) They’re also ideal for hiking. There are natural hot springs and sulfur pools, especially the ones near Borjomi Park. Finally, enough reasons to come, to Georgia and Tbilisi.